In the world of save-for-later services, Pocket has made a name for itself by encompassing more than just text. Whether it’s a YouTube video, a discussion on Hacker News or an article that you want to read when you get a chance, Pocket provides an easy way for you to keep all of them in one place. Today the San Francisco-based company is releasing a suite of tools for publishers in order to increase the attention that they pay to long-tail content. While real-time may be all the buzz when it comes to statistics, there’s a lot to be said for that evergreen content that lives on your site, drawing in hundreds (or thousands, or tens of thousands) of new reads every month. Pocket understands this fact, and Pocket for Publishers allows you to take a granular look at what’s being saved, whether it’s being read and which authors perform best on this content. Analytics — Publishers can see what’s being saved, how often it’s being read and which authors are most effective over a 24 hour, 7 day or 30 day period. Custom footers — When an item is saved to Pocket, if the site is part of the Pocket for Publishers program, they can add a footer to the article with custom messages. Footers can be A/B tested and analytics are available in the dashboard. 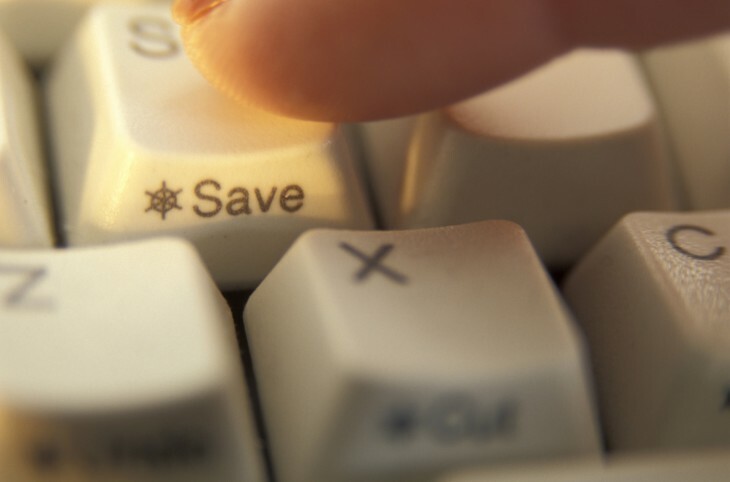 Save to Pocket button — While many sites include social sharing buttons, the Save to Pocket option will allow users to grab content with a click, even if they don’t have the Pocket bookmarklet installed in their browser. Site subscriptions — For sites with a paywall, Pocket has integration that allows the content to be accessed via subscribers, directly within the app. The team says that Pocket for Publishers is, surprisingly, not part of its larger plan for monetization. As of right now the service is free, and there hasn’t been any talk in the meetings that we’ve had about pricing for the tools. According to Editorial Director Mark Armstrong, the goal is really to get publishers more involved with Pocket, and thereby bringing more benefit to the readers. Another display, which lives directly below the Recent Snapshot, shows the popular content and which writers have been producing it. There are two scores assigned, Saved Rank and Impact Rank. Saved Rank is somewhat self-explanatory, but the Impact rank takes a bit more discussion. The Impact Rank, according to Pocket, is a measure of loyalty and the quality of the content, rather than just raw data of the number of times an article has been saved. So while an article might score high on the Saved Rank, it could easily be of lower “impact” to the site’s overall voice. For example, TNW’s most impactful story right now is one from Shareables, which talks about emails from Fab. For each story, you can see a breakdown of its stats, and as is well-documented here there have been loads of saves and an admirable open rate for this story in particular. The addition of Pocket for Publishers opens a door to which most publications haven’t previously had access. 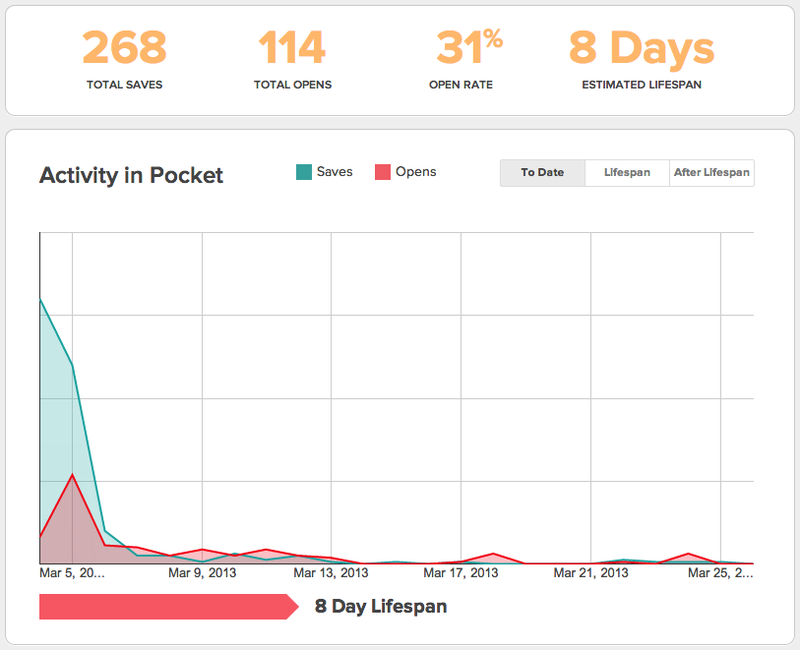 Though it would be possible to dig up many of these same stats (except for the saves) from within Google Analytics and other apps, Pocket’s breakdown is powerful and a time saver. It’s also, finally, a real differentiator between Pocket and other read-later services such as Instapaper. Pocket’s pivot away from reading-only and into “save whatever you want” was the first split, but even that could be called a matter of semantics. With a suite of publisher tools, Pocket places itself into a favorable position for publications, and encourages those sites to promote saving to Pocket so that they can better track the statistics of long-tail articles. We’ll continue to use Pocket for Publishers here on TNW, and we’re not alone. The service is launching with support from other great sites such as GigaOm, The Verge, BuzzFeed, Wired, Longreads and more. In short, Pocket is saying long live the long tail, and it’s putting tools in place to help publishers do the same.